Aztec Ruins - officially known as ‘Aztec Ruin National Monument’, date back to somewhere between 11th and 13th century. Know some fun & interesting facts about Aztec Ruins. Aztec Ruins, officially known as ‘Aztecs Ruin National Monument’ is situated near Aztec city, which falls under San Juan County of New Mexico, USA. Constructed by Pueblo people, between 11th and 13th centuries, the monument lies to the northeast of Farmington, near Animas River. Even Salmon Ruins and Heritage Park, with more ancient Pueblo structures, are located quite near Aztec Ruins. Initially, they were believed to have been constructed by Aztec people, thus explaining the significance of its name. However, they were later traced to the Pueblo people. In case you want to know more about Aztec Ruins, make use of the fun and interesting facts provided below. Aztec Ruins are situated near Aztec city, in north-western New Mexico, United States. 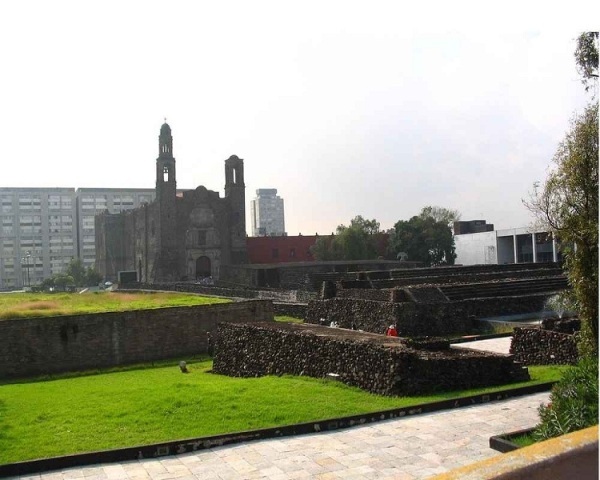 The buildings that form a part of the Aztec Ruins have been found to be dating back to somewhere between 11th and 13th centuries. The site was declared "Aztec Ruin National Monument" on 24th January 1923. Boundary change took place in Aztec Ruin National Monument, following which it was renamed as “Aztec Ruins", on 2nd July 1928. Aztec Ruins was listed as a UNESCO World Heritage Site, as part of the Chaco Culture National Historical Park, on 8th December 1987. Aztec Ruin National Monument is spread over an area of approximately 320 acres. Aztec Ruins was constructed by Puebloan people. However, since early Euro-American settlers erroneously assumed Aztecs as the builders of the ruins, they were called it Aztec Ruins and the town was named Aztec. Aztec Ruins comprises of an extensive community of multi-story structures, smaller residential buildings, roadways, ceremonial kivas, earthworks, and artifacts. The Great Kiva, a place of worship, council, and social interaction, in Aztec Ruins is the oldest and largest reconstructed “great kiva” in the world. The 320-acres habitat of Aztec Ruins supports 28 documented mammal species, at least 70 bird species, 3 amphibians and 10 reptiles. As many as 105 plant species, including 19 exotic species, can be found in the habitat of Aztec Ruins. It is believed that Puebloan people left the Aztec Ruins in about 1300 A.D.
For building Aztec Ruins, the “core and veneer” style of construction was used, in which a thick rubble core is laid within a finely shaped stone veneer. Aztec Ruins National Monument is open from 8:00 a.m. to 5:00 p.m., for most of the year. From the Saturday of Memorial Day Weekend (May) through Labor Day, it opens from 8:00 a.m. to 6:00 p.m. Most of the artifacts excavated from Aztec Ruins are exhibited at the American Museum of Natural History in New York. Others are displayed at the Western Archeological Conservation Center in Tucson, while a few are at the park itself. Aztec Ruins National Monument is divided into two parts - East Ruins and West Ruins. It has been estimated that West Ruins once contained between 450 and 500 rooms and were at least three stories high. The first known rediscovery of Aztec Ruins National Monument took place in 1859, by geologist Dr. John S. Newberry. The excavation of Aztec Ruins, sponsored by the American Museum of Natural History, started in 1916. Aztec Ruins National Monument is administered by the National Park Service, Department of Interior.